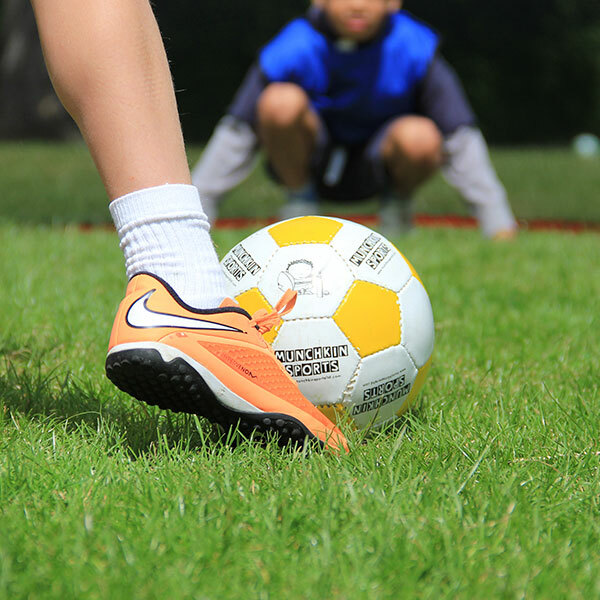 Our holiday camps start at 9.30am and runs throughout the day until 4.30pm. We offer an long day service which can be booked in advance and that runs from 8.30am until 5.30pm. We stop for a 45 minute lunch break as well as several snack and drinks breaks throughout the day. 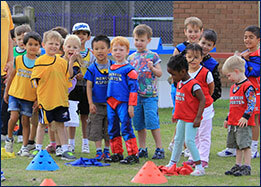 9.30am – Registration: Our holiday camp day starts at 9.30 with registration and a welcome from the holiday camp coaches. It is here that the coaches will get the munchkins revved up and ready for the day ahead of them. We explain what fun is in-store for them throughout the day and get them split up into their age groups and colour team for that day. 9.45am – Morning session: Our morning session will comprise of 3 different sports and an arts and craft session. 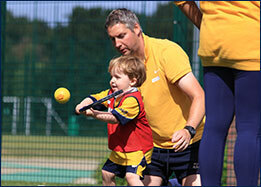 The different sports range from indoor and outdoor activities focusing on team and individual sports skills. The arts and crafts session for that day will be based around the theme for that day. The morning session will also include a drink and snack break. 12.30pm – Lunch and end of morning session: If you have booked your munchkin in for a morning session, then they will be ready for you at the registration point at 12.30. 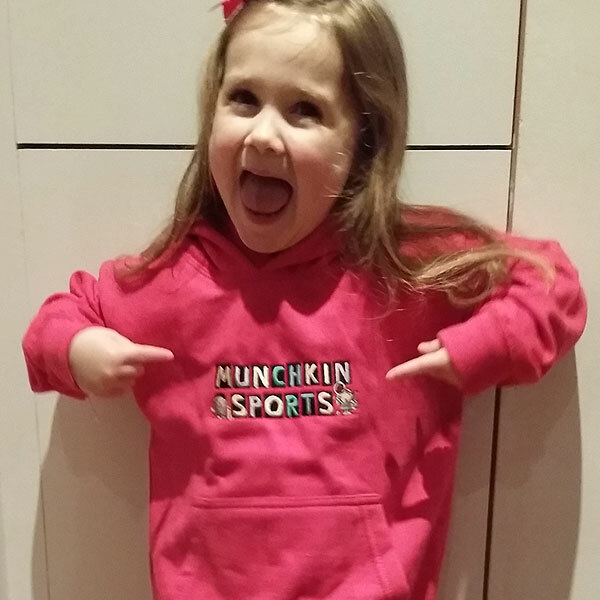 The rest of our munchkins will go for their lunch. Our lunch break is made up of a 45 minute sit down session to eat and drink, with an additional 15 minutes for the munchkins to have “free play.” This encourages them to go outside and play with their new friends and also practice any skills they have learnt that day or just run around having fun. 13.30pm – Afternoon session: If you have booked in for an afternoon session, a coach will be waiting at the registration desk ready to meet you and your munchkin. Our afternoon session will comprise of another 3 different sports and big team games. The afternoon session will also include a drink and snack break. 4.30pm – End of holiday camp: Our holiday camp day finishes at 4.30pm where all the munchkins will be ready to be picked up from the registration area hopefully suitably exhausted and full of stories from the day.